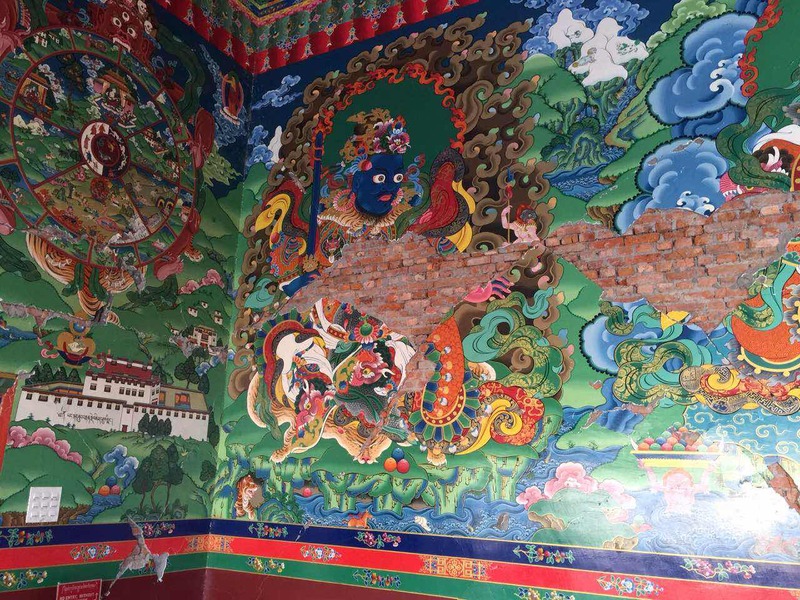 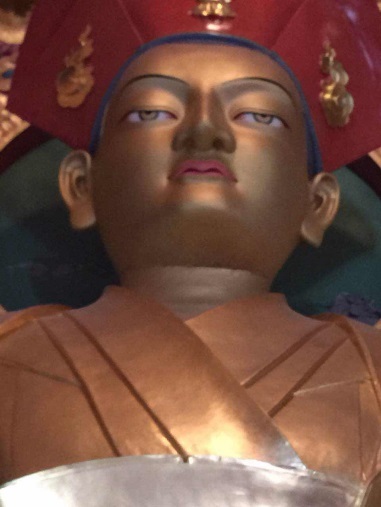 Envisioned by His Eminence Drubwang Konchok Norbu Rinpoche to benefit countless sentient beings for generations to come, the Drikung Kagyu Rinchen Ling Monastery in Nayapati, Nepal was magnificently built in 2009. 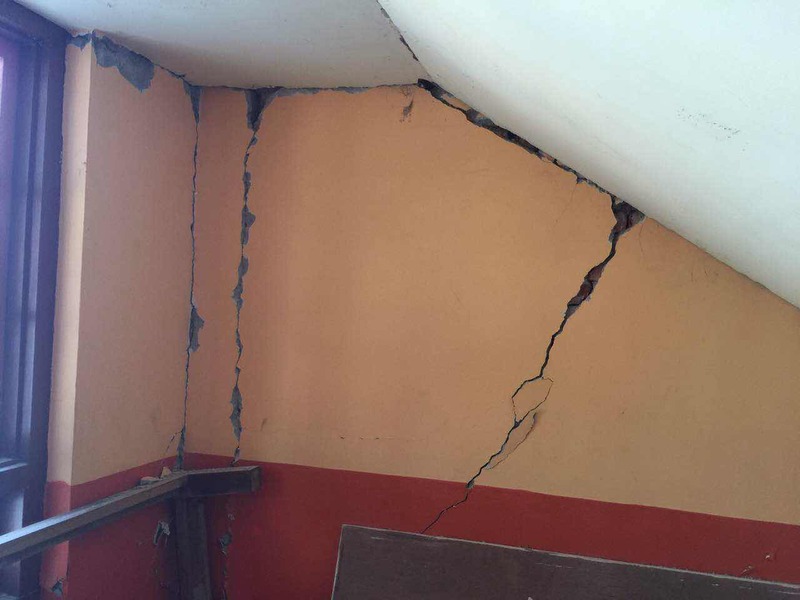 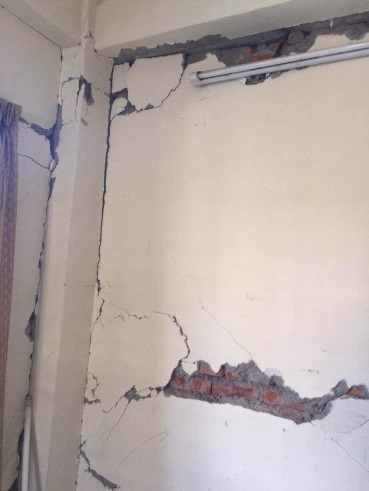 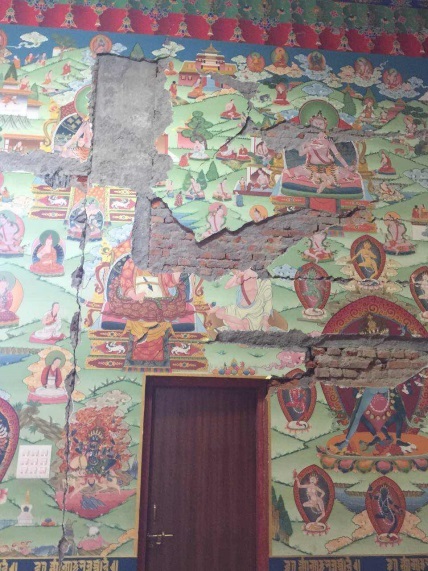 Due to the earthquake in 2015, it was seriously damaged. 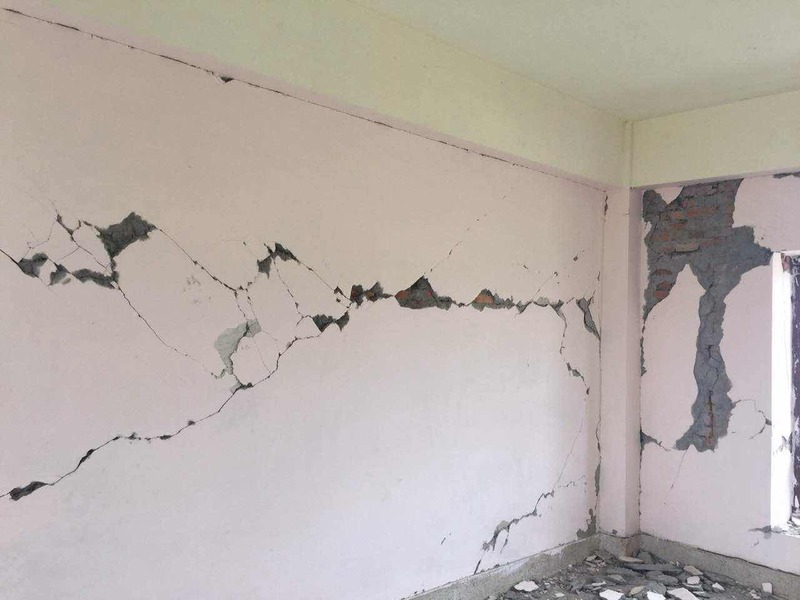 Thanks to quality-built foundations, the basic structure of all the buildings remains sound. 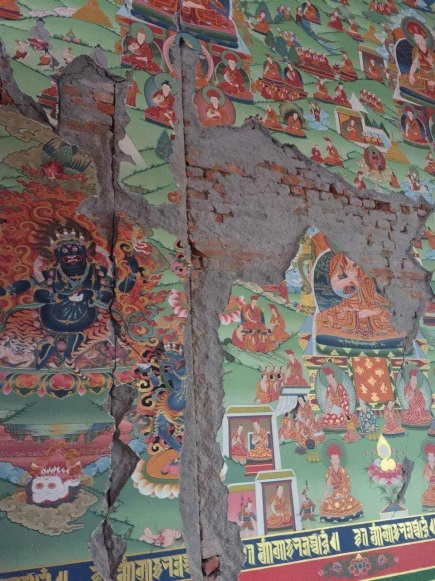 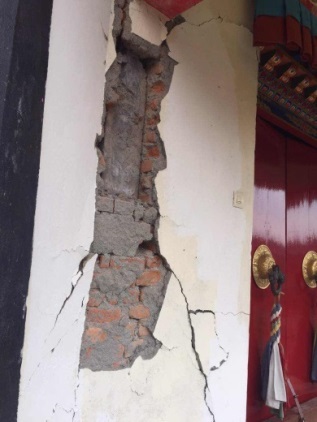 However, substantial and deep cracks appeared in all the buildings and many of the elegant paintings, statues and artworks were damaged (see examples in the pictures below). 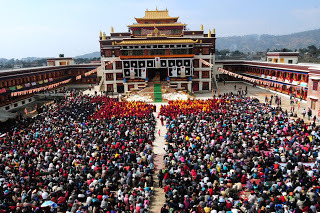 Your meritorious support in any amount will make a difference as this important monastery will continue to be a major gathering place for teachers and disciples from all over the world for the spread of the precious Buddha Dharma, an important place for monks of all ages to study and practice the Dharma and a shelter from which local community seeks welfare and spiritual support. 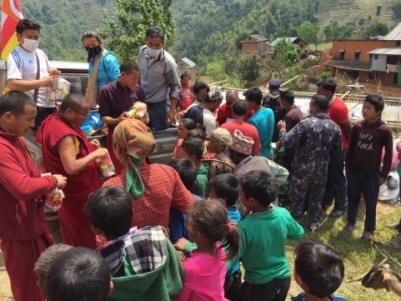 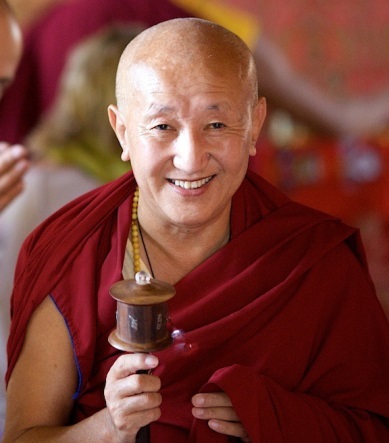 An incidence like this creates precious opportunity for one’s inner love, strong positive aspiration and action bodhicitta to shine forth and through one’s action, inconceivable merits will be accumulated. 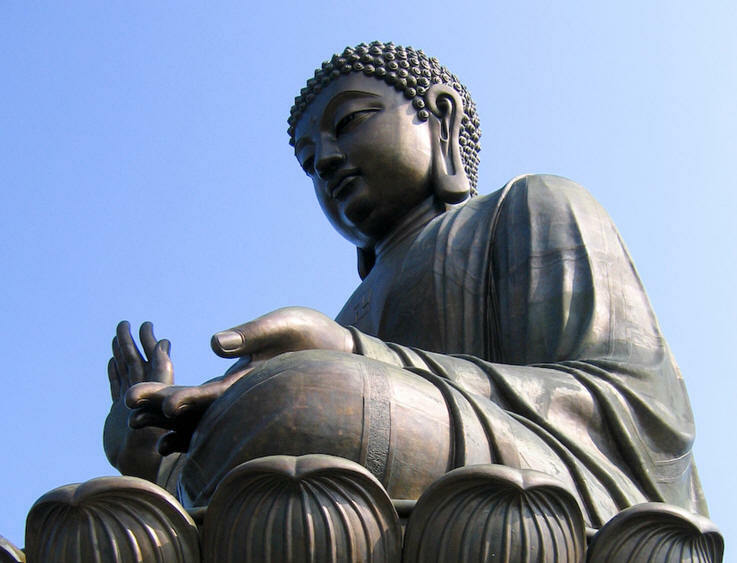 Your support is highly appreciated. 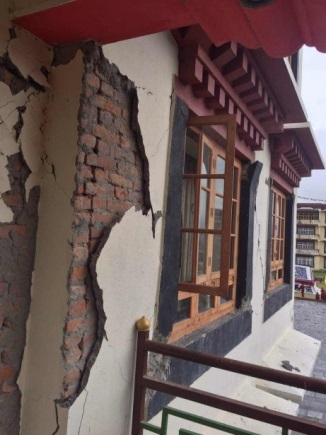 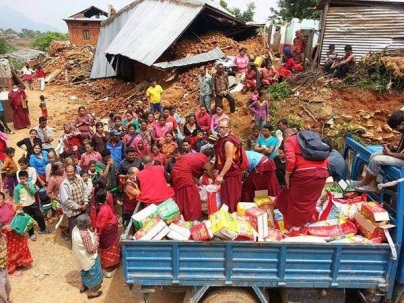 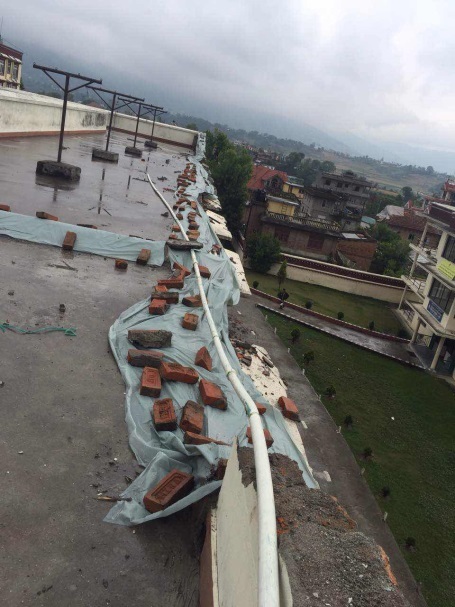 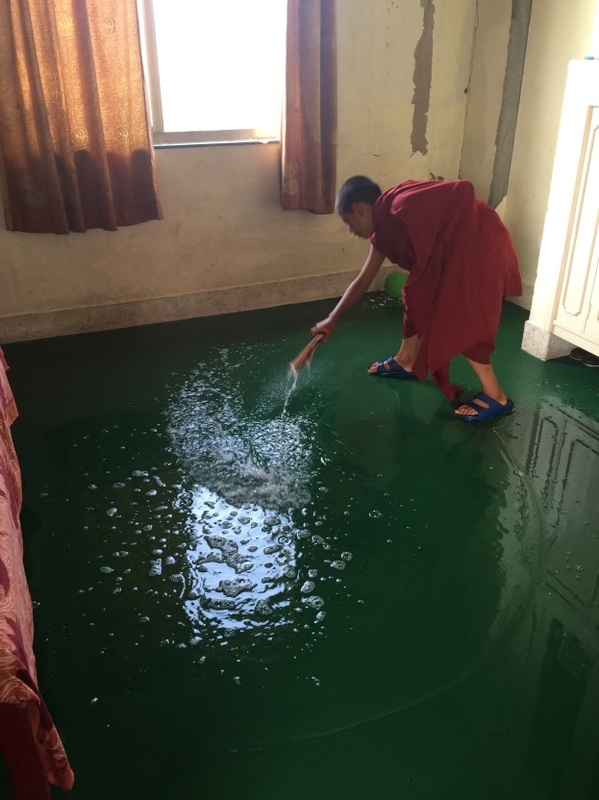 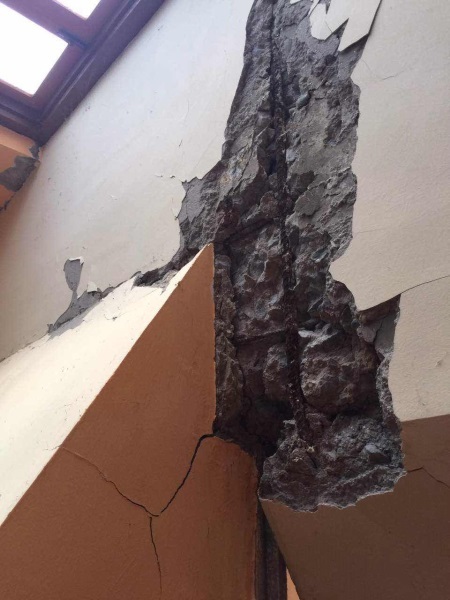 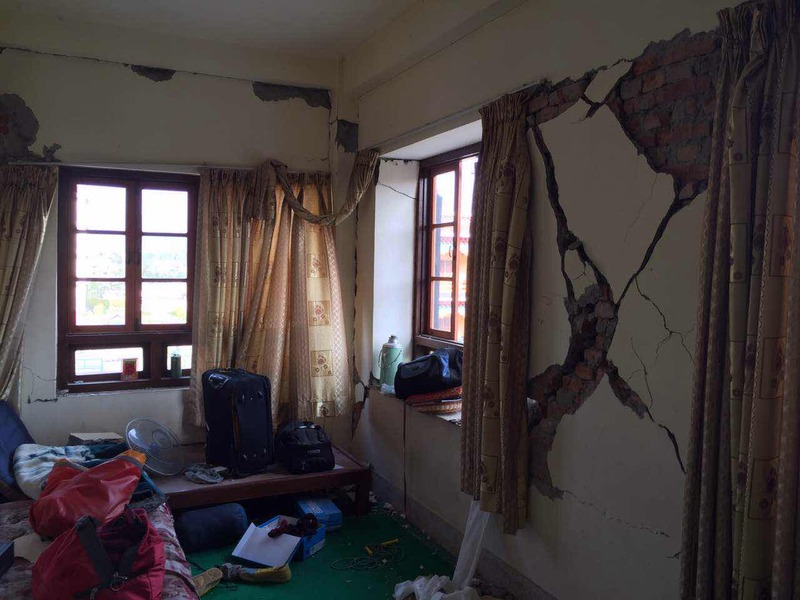 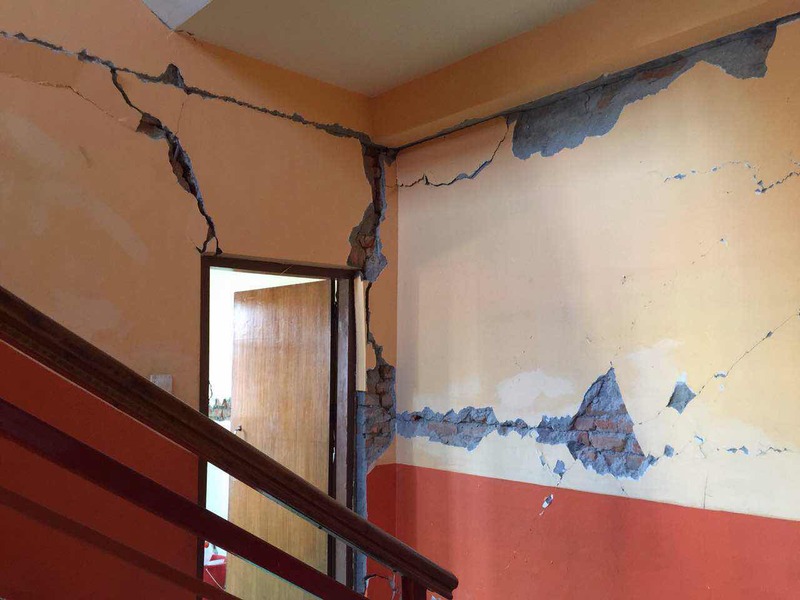 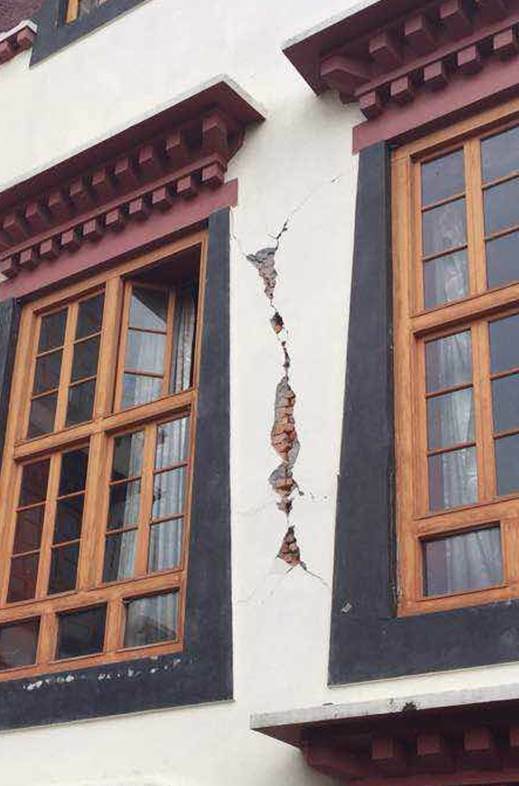 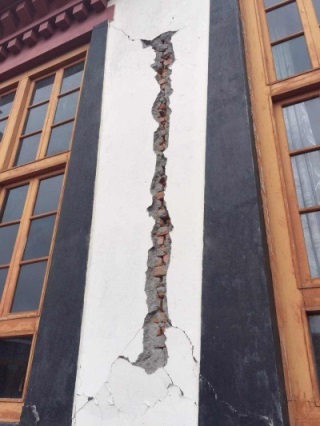 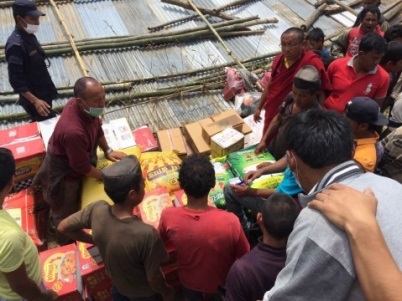 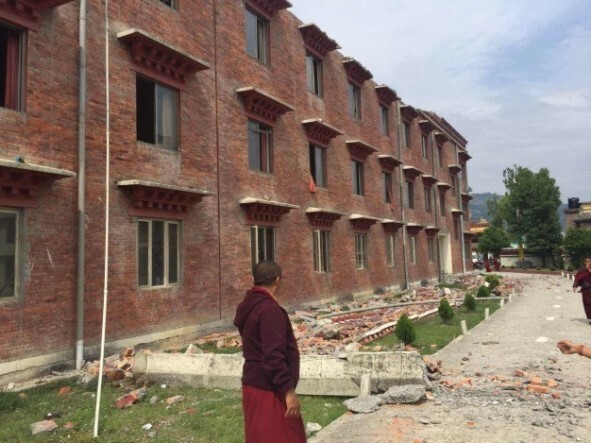 Damages include the main monastery building, the lama residence building and monk residence building. 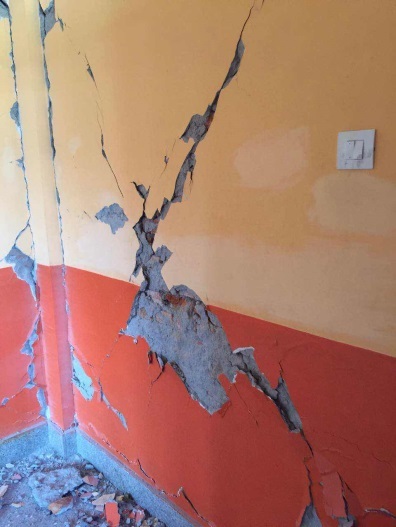 The total estimated cost of the entire renovation project is 237,000 USD (download cost quotation). 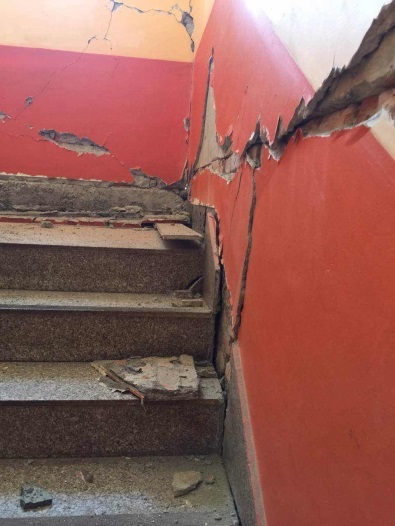 As soon as enough funds are raised, the renovation work can get started. 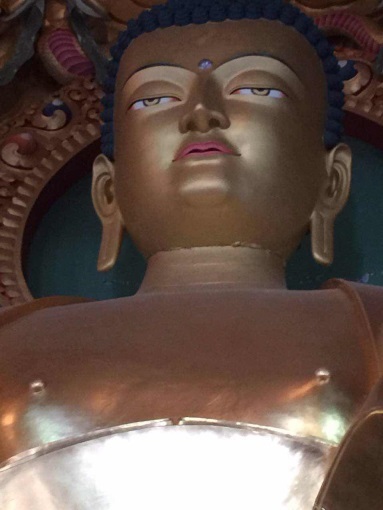 Coating of gold has fallen off from the statues. 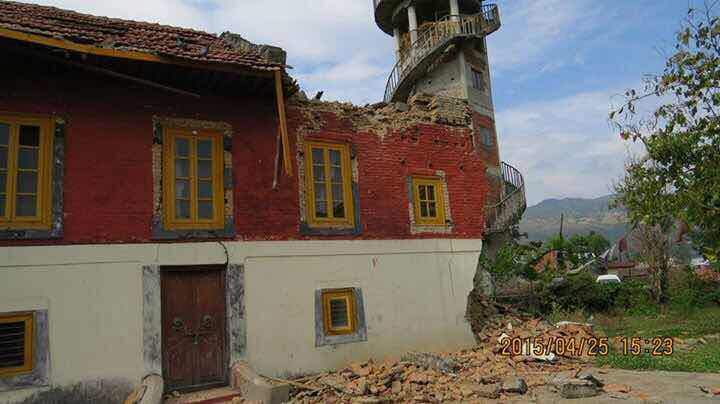 **Please write “Nepal”, your name and email address on the payment.